Who Am I Really ? Eckhart Tolle is a highly respected spiritual teacher best known as the author of The Power of Now and A New Earth: Awakening to Your Life's Purpose. 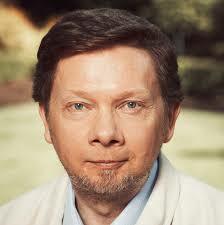 In 2008, the New York Times called Tolle "the most popular spiritual author in the United States". In 2008, approximately 35 million people participated in a series of 10 live webinars with Tolle and Oprah Winfrey. Not identified with any particular religion, his teachings focus on the deep truths of all religions. At age 29 he underwent a profound inner spiritual transformation. He then spent several years wandering in a state of deep bliss before becoming a spiritual teacher. Earth, 114 million years ago, one morning just after sunrise: The first flower ever to appear on the planet opens up to receive the rays of the sun. Prior to this momentous event that heralds an evolutionary transformation in the life of plants, the planet had already been covered in vegetation for millions of years. The first flower probably did not survive for long, and flowers must have remained rare and isolated phenomena, since conditions were most likely not yet favourable for a widespread flowering to occur. One day, however, a critical threshold was reached, and suddenly there would have been an explosion of colour and scent all over the planet – if a perceiving consciousness had been there to witness it. Much later, those delicate and fragrant beings we call flowers would come to play an essential part in the evolution of consciousness of another species. Humans would increasingly be drawn to and fascinated by them. As the consciousness of human beings developed, flowers were most likely the first thing they came to value which had no utilitarian purpose for them, that is to say, was not linked in some way to survival. They provided inspiration to countless artists, poets, and mystics. Jesus tells us to contemplate the flowers and learn from them how to live. The Buddha is said to have given a 'silent sermon' once during which he held up a flower and gazed at it. After a while, one of those present, a monk called Mahakasyapa, began to smile. He is said to have been the only one who had understood the sermon. According to legend, that smile (that is to say, realization) was handed down by twenty-eight successive masters and much later became the origin of Zen. Seeing beauty in a flower could awaken humans, however briefly, to the beauty that is an essential part of their own innermost being, their true nature. The first recognition of beauty was one of the most significant events in the evolution of human consciousness. The feelings of joy and love are intrinsically connected to that recognition. Without fully realizing it, flowers would become for us an expression in form of that which is most high, most sacred, and ultimately formless within ourselves. Flowers, more fleeting, more ethereal, and more delicate than the plants out of which they emerged, would become like messengers from another realm, like a bridge between the world of physical forms and the formless. They not only had a scent that was delicate and pleasing to humans, but also brought a fragrance from the realm of spirit. Using the word 'enlightenment' in a wider sense than the conventionally accepted one, we could look upon flowers as the enlightenment of plants. Any life-form in any realm – mineral, vegetable, animal, or human – can be said to undergo 'enlightenment'. It is, however, an extremely rare occurrence since it is more than an evolutionary progression: It also implies a discontinuity in its development, a leap to an entirely different level of Being and, most important, a lessening of materiality. What could be heavier and more impenetrable than a rock, the densest of all forms? And yet some rocks undergo a change in their molecular structure, turn into crystals, and so become transparent to the light. Some carbons, under inconceivable heat and pressure, turn into diamonds, and some heavy minerals into other precious stones. Most crawling reptilians, the most earthbound of all creatures, have remained unchanged for millions of years. Some, however, grew feathers and wings and turned into birds, thus defying the force of gravity that had held them for so long. They didn't become better at crawling or walking, but transcended crawling and walking entirely. Since time immemorial, flowers, crystals, precious stones, and birds have held special significance for the human spirit. Like all life-forms, they are, of course, temporary manifestations of the underlying one Life, one Consciousness. Their special significance and the reason why humans feel such fascination for and affinity with them, can be attributed to their ethereal quality. Once there is a certain degree of Presence, of still and alert attention in human beings' perceptions, they can sense the divine life essence, the one indwelling consciousness or spirit in every creature, every life-form, recognize it as one with their own essence and so love it as themselves. Until this happens, however, most humans see only the outer forms, unaware of the inner essence, just as they are unaware of their own essence and identify only with their own physical and psychological form. In the case of a flower, a crystal, precious stone, or bird, however, even someone with little or no Presence can occasionally sense that there is more there than the mere physical existence of that form, without knowing that this is the reason why he or she is drawn toward it, feels an affinity with it. Because of its ethereal nature, its form obscures the indwelling spirit to a lesser degree than is the case with other life-forms. The exceptions to this are all the new-born life-forms – babies, puppies, kittens, lambs, and so on. They are fragile, delicate, not yet firmly established in materiality. An innocence, a sweetness and beauty that are not of this world still shine through them. They delight even relatively insensitive humans. So when you are alert and contemplate a flower, crystal, or bird without naming it mentally, it becomes a window for you into the formless. There is an inner opening, however slight, into the realm of spirit. This is why these three 'en-lightened' life-forms have played such an important part in the evolution of human consciousness since ancient times; why, for example, the jewel in the lotus flower is a central symbol of Buddhism and a white bird, the dove, signifies the Holy Spirit in Christianity. They have been preparing the ground for a more profound shift in planetary consciousness that is destined to take place in the human species. This is the spiritual awakening that we are beginning to witness now. Is humanity ready for a transformation of consciousness, an inner flowering so radical and profound that compared to it, the flowering of plants, no matter how beautiful, is only a pale reflection? Can human beings lose the density of their conditioned mind structures and become like crystals or precious stones, so to speak, transparent to the light of consciousness? Can they defy the gravitational pull of materialism and materiality and rise above identification with form which keeps the ego in place and condemns them to imprisonment within their own personality? The possibility of such a transformation has been the central message of the great wisdom teachings of humankind. The messengers – Buddha, Jesus, and others, not all of them known – were humanity's early flowers. They were precursors, rare and precious beings. A widespread flowering was not yet possible at that time, and their message became largely misunderstood and often greatly distorted. It certainly did not transform human behaviour, except in a small minority of people. Is humanity more ready now than at the time of those early teachers? Why should this be so? What can you do, if anything, to bring about or accelerate this inner shift? What is it that characterizes the old egoic state of consciousness, and by what signs is the new emerging consciousness recognized? It has become imperative that these and other essential questions are answered, because today, humanity is faced with a stark choice: Evolve or die. A still relatively small but rapidly growing percentage of humanity is already experiencing within themselves the breakup of the old egoic mind patterns and the emergence of a new dimension of consciousness. What is arising now is not a new belief system, a new religion, spiritual ideology, or mythology. We are coming to the end not only of mythologies but also of ideologies and belief systems. The change goes deeper than the content of your mind, deeper than your thoughts. In fact, at the heart of the new consciousness lies the transcendence of thought, a newfound ability of rising above thought, of realising a dimension within yourself that is infinitely more vast than thought. You then no longer derive your identity, your sense of who you are, from the incessant stream of thinking that in the old consciousness you take to be yourself. What a liberation to realize that the 'voice in my head' is not who I am. Who am I then? The one who sees that. The awareness that is prior to thought, the space in which the thought – or the emotion or sense perception – happens. Ego is no more than this: identification with form, which primarily means thought forms. If evil has any reality – and it has a relative, not an absolute, reality – this is also its definition: complete identification with form – physical forms, thought forms, emotional forms. This results in a total unawareness of my connectedness with the whole, my intrinsic oneness with every 'other' as well as with the Source. This forgetfulness is original sin, suffering, delusion. When this delusion of utter separateness underlies and governs whatever I think, say, and do, what kind of world do I create? To find the answer to this, observe how humans relate to each other, read a history book, or watch the news on television tonight. If the structures of the human mind remain unchanged, we will always end up re-creating fundamentally the same world, the same evils, the same dysfunction. The inspiration for the title: A New Earth came from a Bible prophecy that seems more applicable now than at any other time in human history. It occurs in both the Old and the New Testament and speaks of the collapse of the existing world order and the arising of 'a new heaven and a new earth'. We need to understand here that heaven is not a location but refers to the inner realm of consciousness. This is the esoteric meaning of the word, and this is also its meaning in the teachings of Jesus. Earth, on the other hand, is the outer manifestation in form, which is always a reflection of the inner. Collective human consciousness and life on our planet are intrinsically connected. 'A new heaven' is the emergence of a transformed state of human consciousness, and 'a new earth' is its reflection in the physical realm. From A New Earth copyright 2005 by Eckhart Tolle.